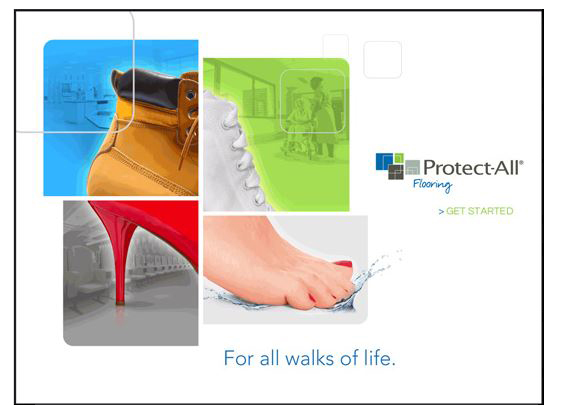 With more than 20 years of proven durability in high traffic, demanding industries, Protect-All ® Flooring has stood up to the test of time and continues to provide quality products for your commercial flooring needs. Our Protect-All ® Certified Installers bring the quality installation that you have come to expect from City Carpet over the past 52 years in Tucson. City Carpet is the only authorized installer of Protect-All ® in Tucson, Arizona. The lift system allows for replacement of carpet with carpet tile without dismantling office furniture or modular walls. There is no down time or loss of production. We lift furniture and modular walls without disconnecting existing wiring.